Every 19th century Village needs its own chapel. After looking for 35 years to find a historic church building with no success, the Board of the Friends voted to build a replica of a church which once stood at the corner of Okemos Rd and Methodist St in the Village of Okemos. 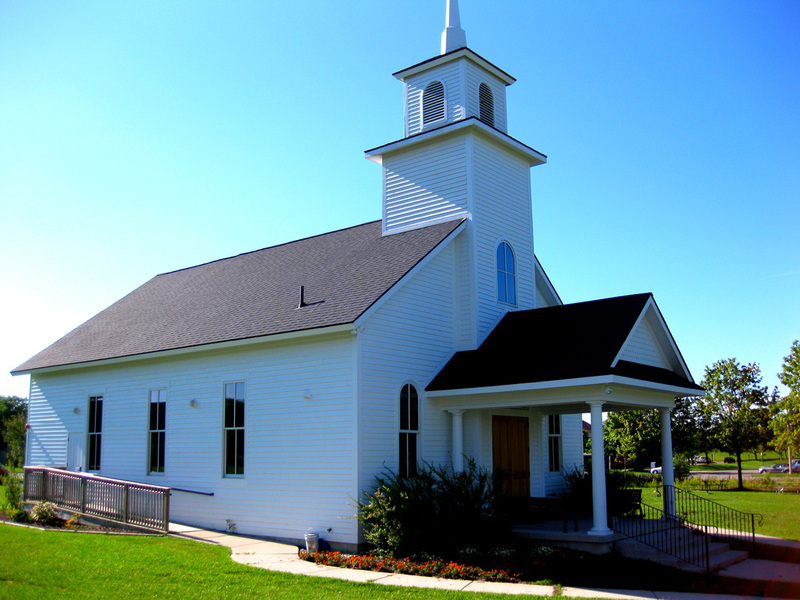 The original church, built in 1870, followed the theme of the New England style of meeting house, with a belfry and steeple. The double front doors were capped by a curved "fan" light and flanked on each side by arched windows. The new Chapel, modern in every way, has completely captured the original's classic exterior design. 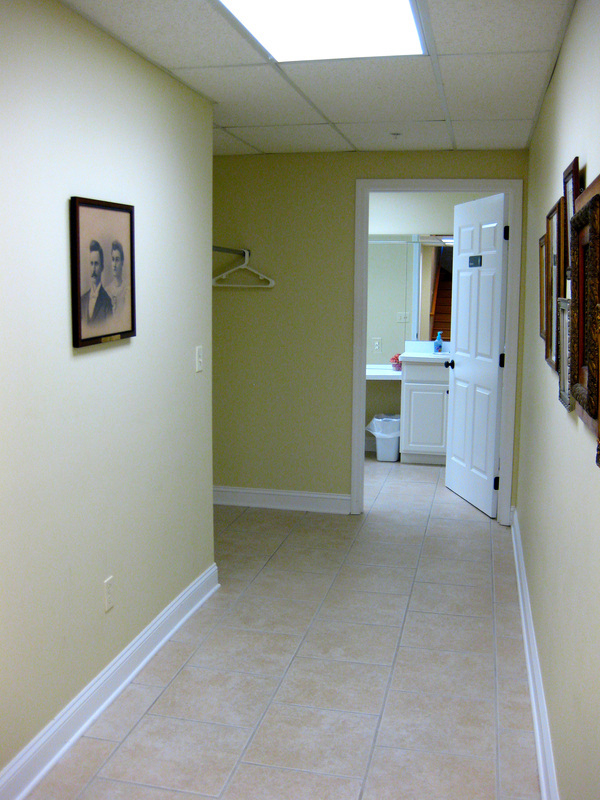 Inside, the Chapel features an exquisite narthex and sanctuary. A decorative wall towers behind the raised altar area, providing an inviting backdrop complemented by rich oak floors and pews. 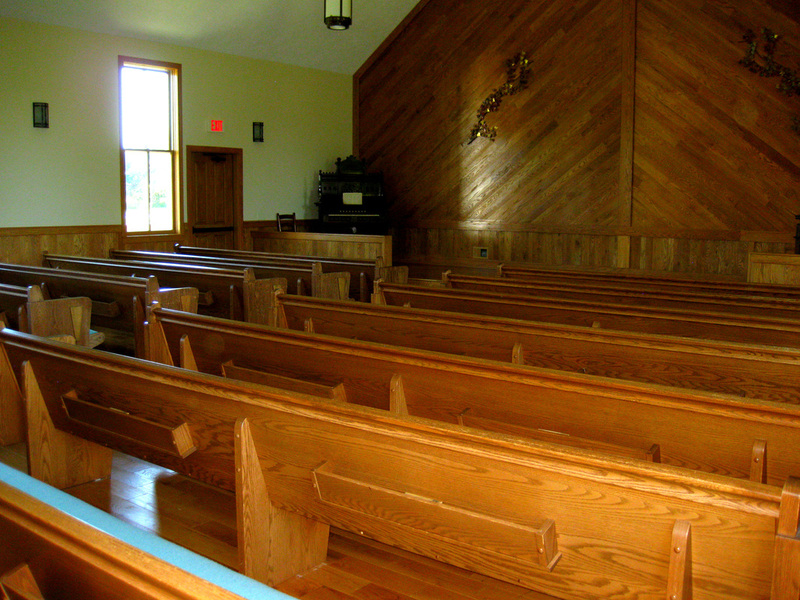 There are fourteen pews with a center aisle in the nave. The pews can comfortably seat up to 100 guests. The interior is highlighted by six hanging lights rescued from the Okemos Community Church, as well as six wall sconces, and spot lights above the altar area. Other modern features include full heating and air conditioning throughout the building, wheelchair ramps on both the north and south sides of the building, a unisex handicapped-accessible bathroom on the main floor, and two restrooms in the basement level. 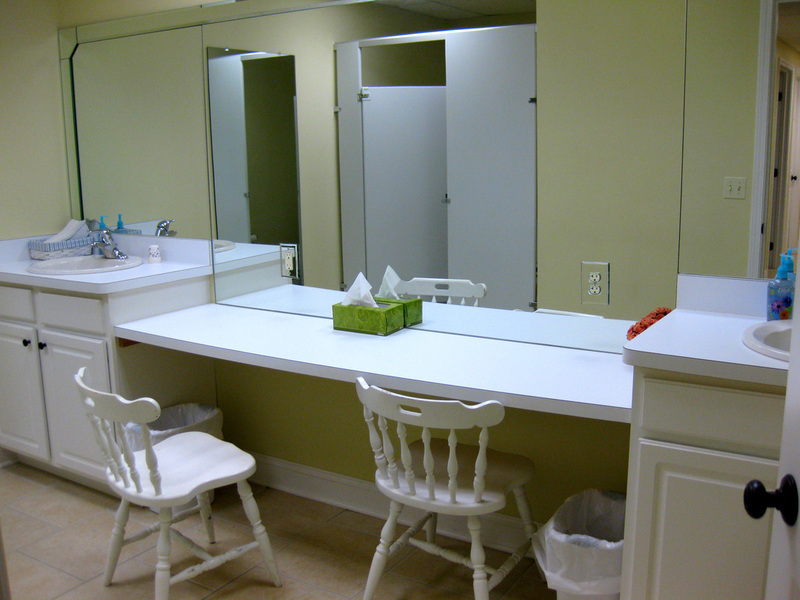 The basement level ladies room has a full-length mirror as well as ample mirrors above the make-up area. The acoustics are perfect for music, either live performances or with the state-of-the-art sound system which can accommodate CDs and iPods. A portable microphone is also available for special events. 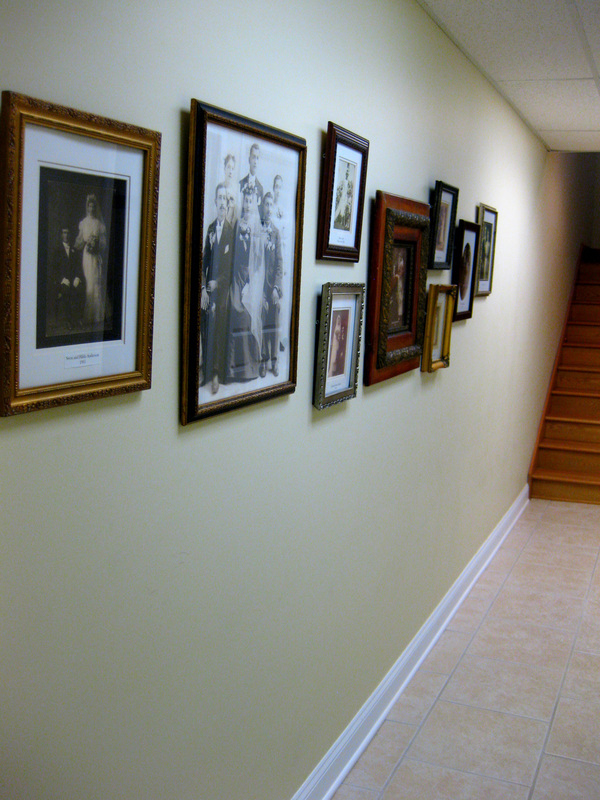 Antique stained-glass windows in the two front windows provide needed privacy in the first floor restroom and in the stairwell to the basement level. 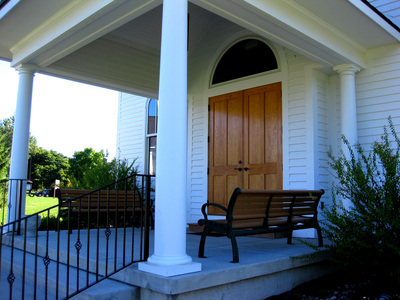 The windows were rescued from a historic Meridian Township church located in the Village of Haslett. The Chapel is available for rent for weddings, musical programs, memorials, and other public events. 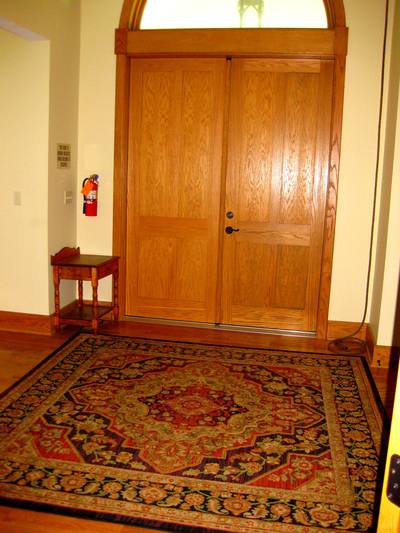 To schedule a tour of the Village Chapel, please contact the Village office. 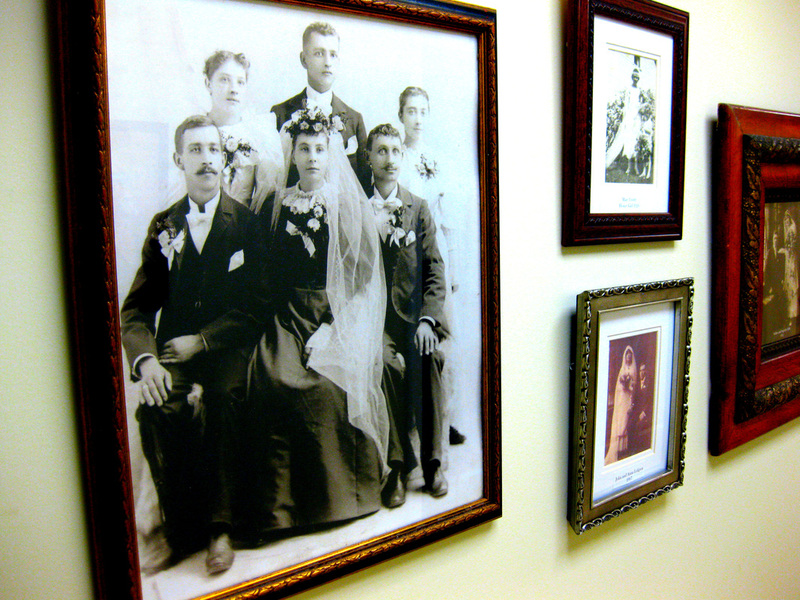 Click here for more information on how to book a wedding in the Village. 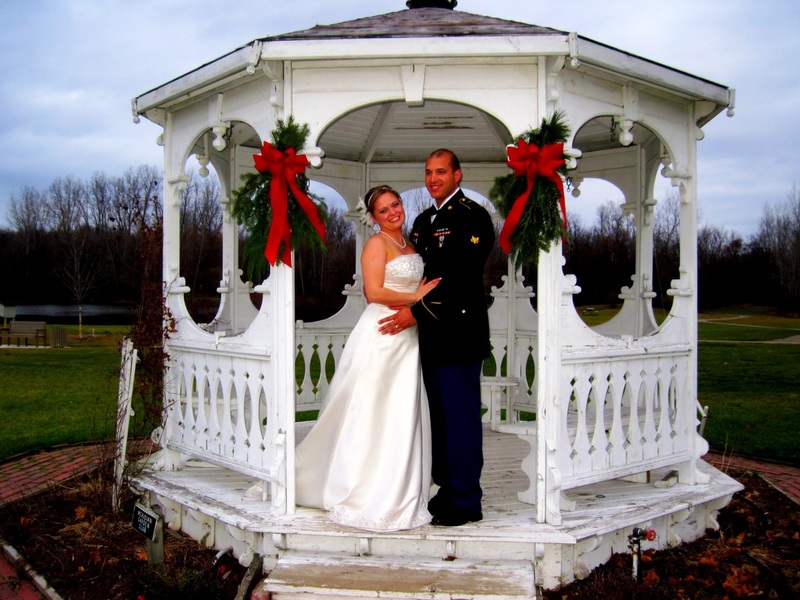 Outdoor weddings can also be held at the Village in lovely Central Park, Okemos, either at the Gazebo in the center of the park or in front of the Village Chapel. The number of guests for outdoor weddings is limited to 200 due to parking constraints and other events in the area (e.g. the Farmers Market at the Township Pavilion). ​Does the Village host indoor receptions? The Village does not have the facilities to host an indoor reception. Does the Village host outdoor receptions? Due to safety concerns, the Meridian Township Parks Department requires that all outdoor receptions be held in the Central Park pavilion which is located just south of and immediately adjacent to the Village. Brides who are considering having an outdoor wedding reception in the Village are advised to contact Robin Faust at (517) 853-4608 to reserve the pavilion and review Meridian Township permit requirements. When is the best time to decorate the Village Chapel for my wedding? 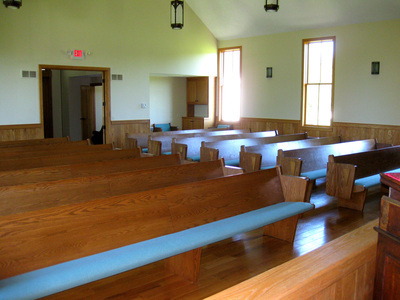 All wedding reservations in the Village Chapel include a 1-1/2 hour wedding rehearsal time the night before the wedding. It is recommended that brides assign a friend or relative the responsibility of decorating the Chapel during this rehearsal period. How long an aisle runner do I need for the Village Chapel? The distance from the raised altar in the sanctuary to the area rug in the Chapel entrance is 34 feet. I have some other questions about scheduling a wedding. Need more detailed wedding information? Please email Jane Rose.